What better way to spend a Saturday evening than sipping wine and listening to live music while watching yachts cruise by during the sunset! Experience the quintessential California Wine Tasting and enjoy California’s finest vintage wines, delicious gourmet appetizers, and live music with the breathtaking view of the Pacific Ocean. Chase Palm Park Plaza at the Carousel on Cabrillo Blvd. 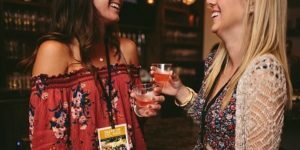 Experience delectable culinary creations from Del Mar’s highly regarded restaurants, sip and savor selections from some of California’s best wineries and breweries while enjoying fabulous Pacific Coast sunset views! This event is pure heaven! Salkexcellerator members are invited to a private reception with the Nobel laureate, NY Times best-selling author, and the dynamic President of the Salk Institute, Dr. Elizabeth Blackburn. Born in Tasmania, educated in England and respected around the world, Dr. Blackburn will share an insider’s view of what it’s like to lead an influential institution such as Salk. 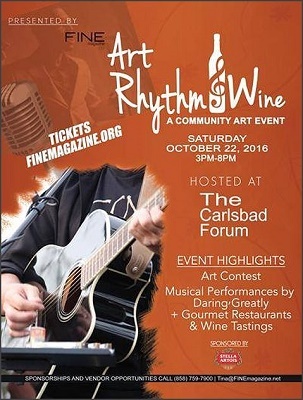 PEGASUS Estate Winery’s Cabernet Sauvignon will be the featured wine at this wonderful event. 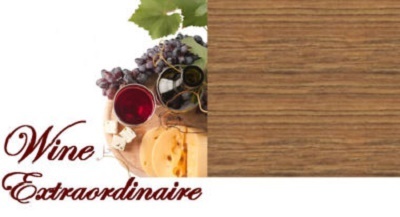 The Orange County Wine Society’s 2017 Wine Extraordinaire fundraiser will feature wineries that have been making excellent wines but remain small producers, new ventures, winemakers with their own labels, and larger well-know wineries. 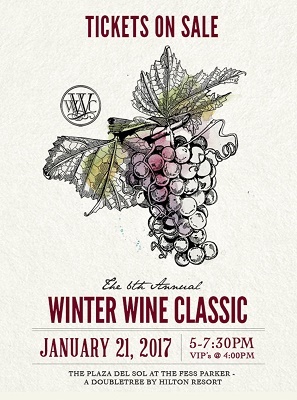 Santa Barbara, one of America’s most beautiful cities and the capital of Southern California’s wine country, will become the epicenter of the California wine world on Saturday, January 21, 2017. We will be pouring our newly released 100% estate grown 2013 Cabernet Sauvignon which was recently awarded a 91 point rating from Wine Enthusiast. Our label will be featured in their February issue. Join us at one of the largest gathering ever of California’s ultra-elite winemaking masters at the luxurious Fess Parker Hotel – Plaza del Sol Pavilion. Experience delectable culinary creations from Del Mar’s highly regarded restaurants, enjoying selections from some of California’s best wineries and breweries while enjoying the stunning view of the Pacific Ocean at sunset. Our 93-Point-Rated 2012 Cabernet Sauvignon will be presented at the highly acclaimed Pebble Beach Food & Wine Event which is one of the most prestigious food and wine affairs in the world. Celebrity Chefs will bring their best game to create a spectacular epicurean experience along with premiere wineries from around the country that will showcase their finest vintages for the 8,500 participating guests. The Pebble Beach Food & Wine Event is an opportunity for the industry’s tastemakers and top professionals to get together in one of the most picturesque and breathtaking settings in the country. Plan on joining Pegasus Estate Winery at this elaborate affair! Don’t be a fool this April 1st! Come out and taste our fabulous Gold Medal 93 point rated 2012 Cabernet Sauvignon. See what the buzz is all about! 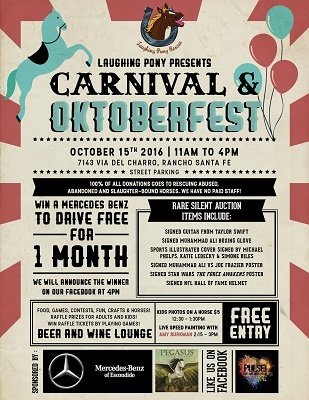 We are excited to be participating in this fun event with approximately 150 other wineries. 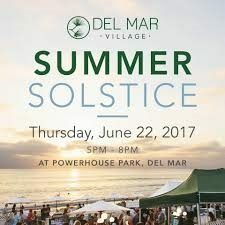 San Diego and Del Mar are very wine & food centric and this event has always been very poplular with both trade & consumers. Get your ticket now before they sell out! We will see you there! 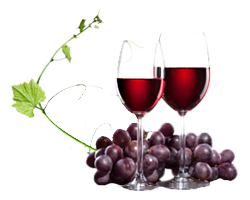 Santa Barbara, one of America’s most beautiful cities and the capital of Southern California’s wine country, will become the epicenter of the California wine world on Saturday, February 20, 2016. That is when one of the largest gatherings ever of the California’s ultra-elite winemaking masters will assemble for the 5th annual “Winter Wine Classic” presented at the luxurious Fess Parker’s DoubleTree Resort. 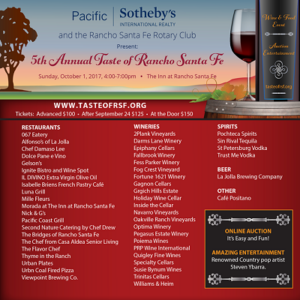 Pegasus Estate Winery’s Gold Medal Winner – 93 point rated 2012 Cabernet Sauvignon will be one of the featured wines poured at this fabulous event. Hope to see you there!